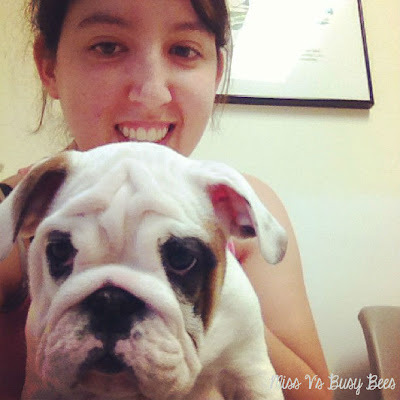 Teaching Blog Round Up: Howdy Y'all From Miss V's Busy Bees! Hey y'all! It's Sara from Miss V's Busy Bees! I'm sooo excited to be one of the collaborators here at Teaching Blog Round Up! This is one of the newest collaborative blogs here on the web, yet it will be one of the best - I promise! Each blogger that blogs here will be giving you some tips, ideas, thoughts, and all kinds of other information, as well as some freebies! For those of y'all that don't know me too well, I'm a 23-year-old livin' in good ol' Southern Alabama with my boyfriend, our cat, Socks, and our puppy, Tucker. I graduated from the University of Cincinnati with my Bachelor of Science in Early Childhood Education and I'm currently getting my Master's degree in Classroom Technology. SO, I'm not currently in the classroom as a teacher, but I do volunteer in a 3rd grade classroom with students working on mathematics technology integration! In my spare time, I love to garden, scrapbook, watch TV/movies, make products for my Teachers Pay Teachers store, and blog over at Miss V's Busy Bees. While I haven't blogged an actual blog post in a while, I WILL be back - I promise you that! I'm also currently a waitress at Cracker Barrel while I'm waiting for my license from the state of Alabama. I'm here to talk to you about education and give y'all a glimpse into what I love! So, math is my all-time favorite subject. I could do math all day, every day. To me, I find mathematics the most interesting subject in the world, but not everybody else does! So, last year, when we were working on measurement, I was in charge of finding books on non-standard units of measurement. This was a difficult task, but one that I found completely fun! Not only do I love math, but I love to read! SO, here are a few books that I love that have been written on non-standard measurement. Student connection to both of these books is amazing. 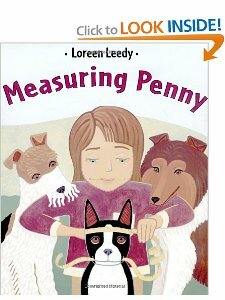 Students can connect to measuring penny because it's all about measuring a pet - what student does NOT have a pet now a days?! 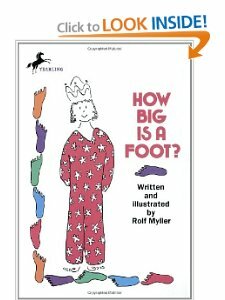 Rolf Myller's book also has great connections because we literally measured a student with my "foot" versus a 2nd grade students' "foot" - now if you don't see the difference... you've gotta try it out yourself! You and your kiddos will love it! Brings up a great discussion as to why we have a standard unit of measure. Anyways, I love incorporating literature into mathematics whenever possible, but really, I love math in and of itself (as I stated above). So, I wanted to create a non-standard unit measurement freebie. It's a set of task-cards that uses non-standard measurements. Students must decide which type of measurement should be used (for example, when measuring how much water goes into a bath tub, should you use a bucket or a drinking cup - or when measuring a football field, should you use pencils or paperclips, etc), estimating how many different non-standard units different items might be (how many paperclips long is a pencil, 10, 50, or 100), and other such questions. This freebie includes a total of 24 task cards that I hope you and your students (or children at home) are able to use! Thank you so very much for stopping by here at Teaching Blog Roundup! See y'all next month! Sara I love the measurement unit! It will work perfect for me! Welcome to Teaching Blog Roundup!